Guidepoint Data is excited to announce that we have expanded Guidepoint Qsight’s data product offering to include models for three new companies: Merit Medical (“MMSI”), CONMED (“CNMD”), and SI-BONE (“SIBN”). For Merit Medical, Guidepoint Qsight’s data and projection methodology has been more accurate than consensus each of the past four quarters. Most notably, prior to MMSI’s Q4 2018 earnings release, Qsight’s data and projection methodology showed potential for their U.S. revenue to come in above sell-side consensus estimates. On February 26th, MMSI’s Q4 2018 reported U.S. sales outperformed Street expectations, sending the stock price up +7% at market open the next day. For CONMED, Guidepoint Qsight’s data and projection methodology has been more accurate than consensus each of the past 4 quarters. 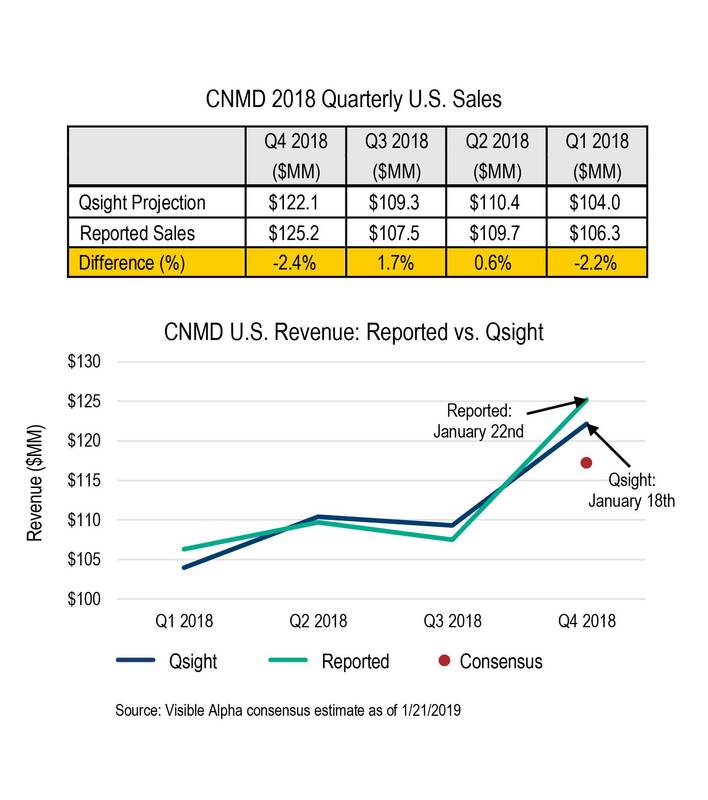 Most notably, prior to CNMD’s Q4 2018 earnings release, Qsight’s data and projection methodology showed potential for their U.S. revenue to come in above sell-side consensus estimates. On January 22nd, CNMD’s Q4 2018 reported U.S. sales outperformed Street expectations, sending the stock price up +5% at market open the next day. Prior to SI-BONE’s Q4 2018 earnings release, Qsight’s data and projection methodology showed potential for their U.S. revenue to come in above sell-side consensus estimates. 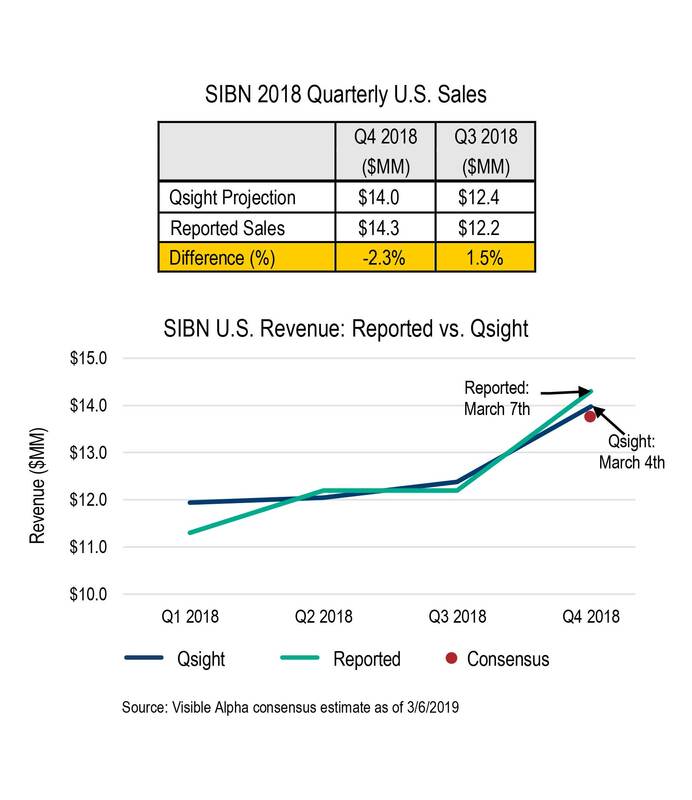 On March 7th, SIBN’s Q4 2018 reported U.S. sales outperformed Street expectations, sending the stock price up +5% at the high the next day.